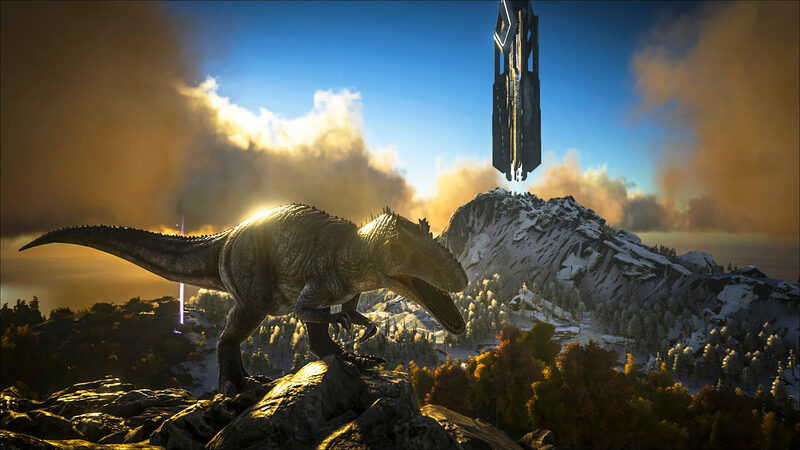 The Giganotosaurus will have a new “rage” effect that influences its state towards the players. This rage will be represented by a special “Rage” meter that fills up when it takes damage (and it will decrease over time again). The big advantage of more rage, is that it will regain stamina quicker and do more damage the more rage it has accumulated. But: make sure you don’t max out its Rage meter, because then it will throw its rider off and attack friendlies. Furthermore, it will not be possible to ride it again until its Rage meter has dropped. For the best results, you should therefore try to keep its Rage meter filled a little (as it will do more damage), but not too much that it can easily “Rage” and throw you off and turn on you. We believe this will make a very interesting new mount and hope that more of these special meters or abilities are added to the game! 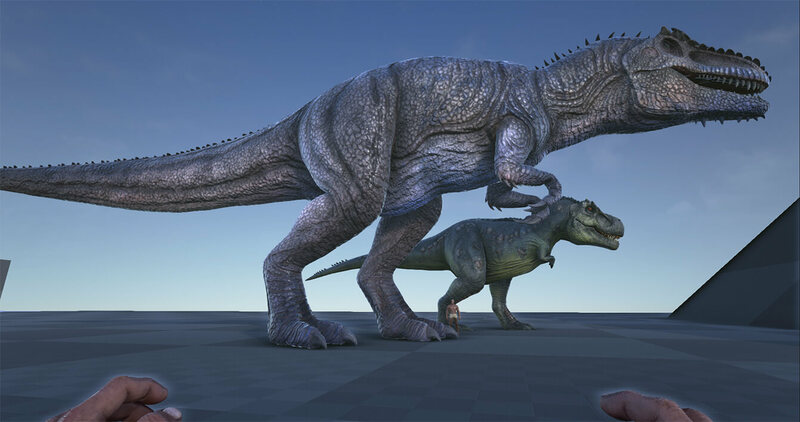 The Giganotosaurus has also been added to the taming calculator. Go check it out and get your own massive dino to wreak havoc. While greater in size than most large predators, the Giganotosaurus is sometimes less dangerous when encountered in the wild, due to its sluggish speed. Even still, getting trapped or chased down by a Giganotosaurus often means certain death for nearly any creature. Taming a Giganotosaurus is a dangerous prospect. Its rage reaction, even when tamed, can sometimes cause it to briefly turn on members of its own tribe. Indeed it may even throw off its rider if it has been sufficiently angered! And yet, the sheer size and immense power that the Giganotosaurus possesses means that some factions endeavor to tame it as a fear-inducing “capital” beast of war — even at great risk! Fighting a Giganotosaurus directly is always a bad idea, as its rage rapidly grows with every hit it takes. With this rage, it builds increasing reserves of energy to use, making its iron-jawed bites progressively more deadly and enhancing its stamina. Don’t forget to follow us on Facebook or Twitter to be informed of the latest ARK related news and future previews! Next Post: Patch v222: What’s new? How much rage does the Giganotosaurus receive when hit? Or rather, how much rage does it lose when it loses a specific amount of health?